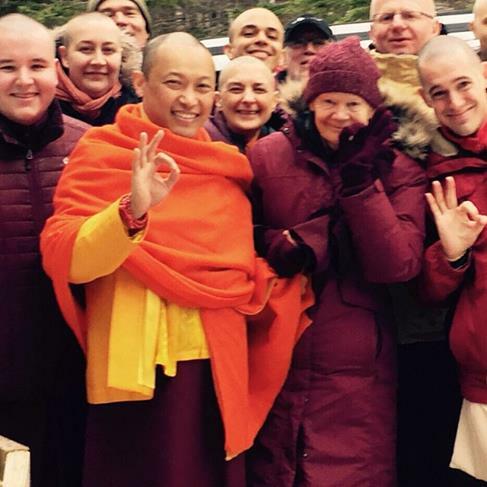 A video by Acharya Pema Chodron and Shastri Loden Nyima has just been posted on the Shambhala Times describing the vision of the Shambhala Monastic Order, answering some frequently asked questions, and outlining the current offerings of 9-12 month monastic residencies themed around the Four Dignities of the Shambhala path. The Shambhala Monastic Order is currently midway through the second of such residencies. The next will begin in January 2017. Links to applications, prerequisites, temporary ordinations and the path to lifelong ordinations and a new blog from current residents are also posted. As well, for those who may be inspired to help manifest this vision, there is the opportunity to serve as the next Director or the next General Manager of Gampo Abbey. More information on all of this may be found here.